Barbara and George H.W. Bush attended last year’s Memorial Day parade in Kennebunkport, Maine, where they spend summers. PORTLAND, Maine — Maine Governor Paul LePage on Monday said he and his wife are keeping former first lady Barbara Bush and the Bush family in their prayers. A family spokesman said Sunday that the 92-year-old Mrs. Bush is in failing health and won’t be seeking additional medical treatment. The Bushes have long ties to Maine. They spend their summers at a seaside home in Kennebunkport and are involved in the community. The Maine Medical Center’s children’s hospital in Portland bears Barbara Bush’s name. 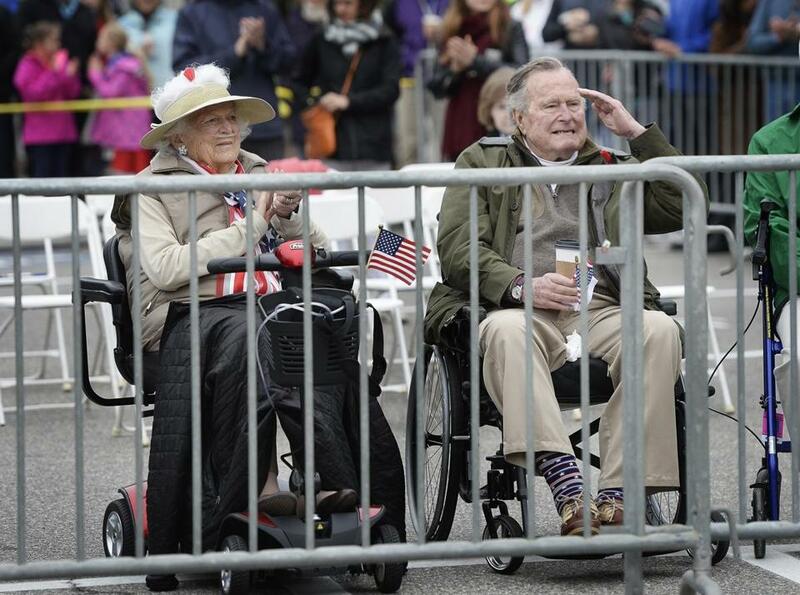 The Bushes ‘‘live their lives always putting others first,” said Maine Medical Center president Rich Petersen. Kennebunkport loves the Bushes. The feeling is mutual.